Archive Place (Twilight), September 3 – 10, 2012. Hope Gallery, (Postgraduate Project Space), Faculty of Creative Arts, University of Wollongong, NSW. Research exhibition. Illuminated porcelain photographs, postcards, photo-ostraca, photoshards, with sound passages (recorded in north Queensland 2011-12). Lutreolus two (The Book of Rose Gums), 2012. Engraved porcelain. The Book of Rose Gums, 2012. Illuminated, engraved porcelain. August 1 – 5, Melbourne Art Fair 2012. Rex Irwin Art Dealer, Sydney. 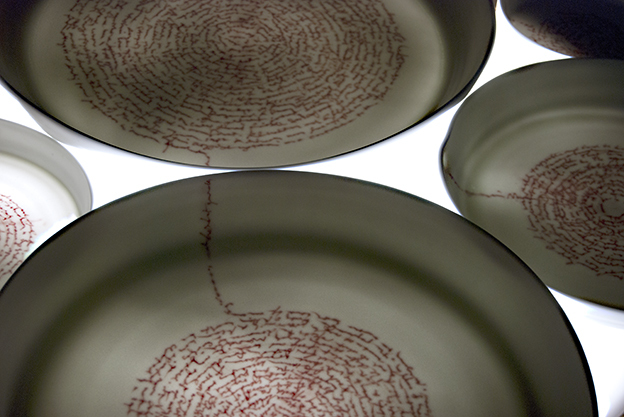 lluminated porcelain engraved with an ecological research thesis. The Book of Rose Gums began in 1982 with an Honours research project on the ecology of the Australian Swamp Rat, Rattus lutreolous in a forest north of the city of Townsville. Rose (or flooded) gums edge the upland rainforests that persist in these latitudes. ‘Lutreolus‘ refers to the mink-like dark pelage of these beautiful small ground mammals. The ecotonal Rose Gum forests are now included in the World Heritage Wet Tropics of Northern Queensland. Since 1982, I have returned regularly to them. 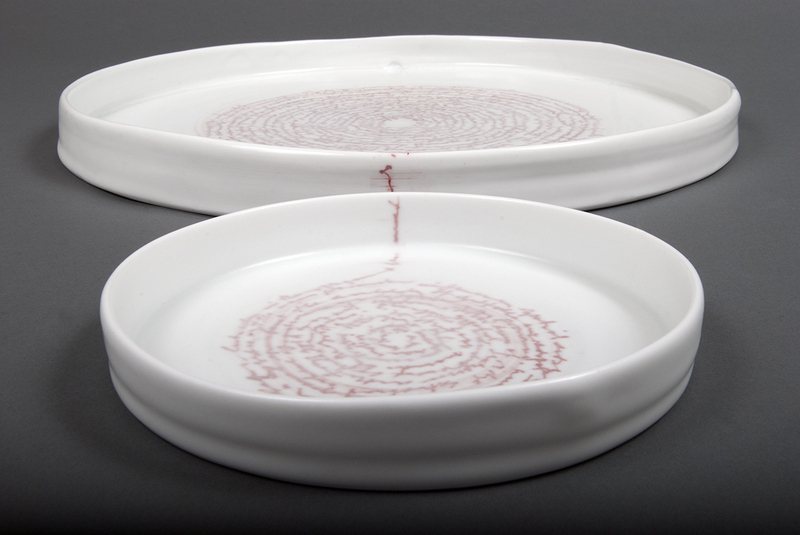 This is where this porcelain series – one of the renditions of the Book – began, and pulses.